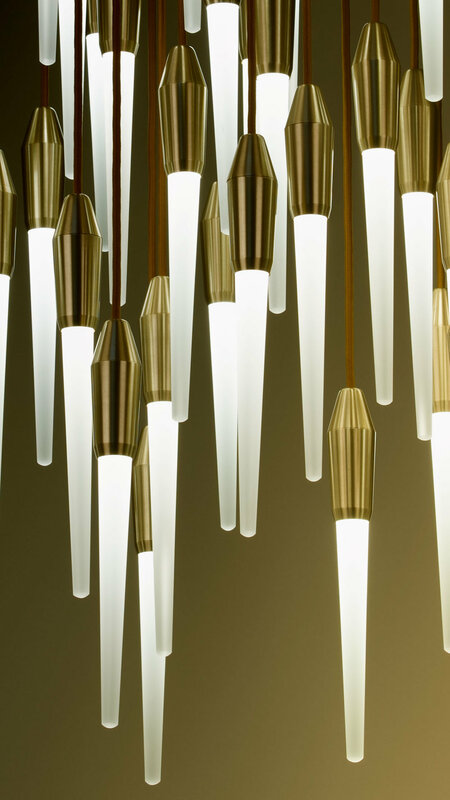 Light fixtures are more creative than ever, and lighting designers are paying close attention to light as a color, light as art, light as a sculpture, the materials from which light is omitted, and light's luminescence. Top notch LED technology, beautiful color temperatures, installation consideration, and artistic designs allow Boyd's designers and engineers to produce fixtures that are more ground breaking than ever before. The linear, in-wall Sunbeam Sconce features a narrow channel that runs lengthwise down its middle. The inner reflector is available in gold or white gold paint, or white or yellow gold leaf, and the outer frame is available in white primer so it can be painted to match the wall color. With its subtle sparkle, a row of these dimmable sconces lining a corridor would make a big impact. Recessed mount. Can be mounted vertical or horizontal. Learn more. 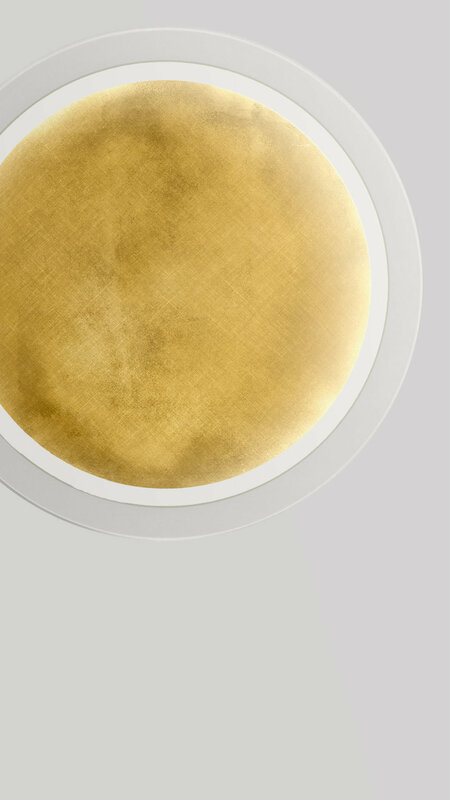 Available in two diameters, the round, in-wall, recessed mounted Portal Sconce is the perfect hospitality fixture, providing lots of drama with beautiful gold leafing. The low profile interior bowl features Boyd’s stunning yellow gold leaf, white gold leaf, or aluminum leaf. The trim ring is available in blackened aluminum and white primer so it can be painted to match the wall color. Imagine a trio of the dimmable, glowing rings in blackened aluminum and gold leaf hanging behind a reception desk. Learn more. The Emanation LED Mirrored In-Wall fixture provides punctuations of visible light on any custom mirror. Filtered, non-glare light glows through a mirrored faceplate to illuminate ones’ face. The Emanation is recessed mounted to be flush with the surrounding mirror for uninterrupted reflection. An etched pattern runs along the faceplate, which is just over three inches wide. A variety of glass types, faceplate patterns, and color temperatures. The ability to be mounted horizontally or vertically, give this fixture enormous versatility for any interior style. Learn more. The LED Glow Sconce has the look of an elegant ice cube perched on a ledge. In a dark room it is a virtual beacon. Available in two metal finish options. Dimmable. Learn more.